Charlotte Lozier Institute | July 31, 2015. The United States is second in the world in number of abortions each year. 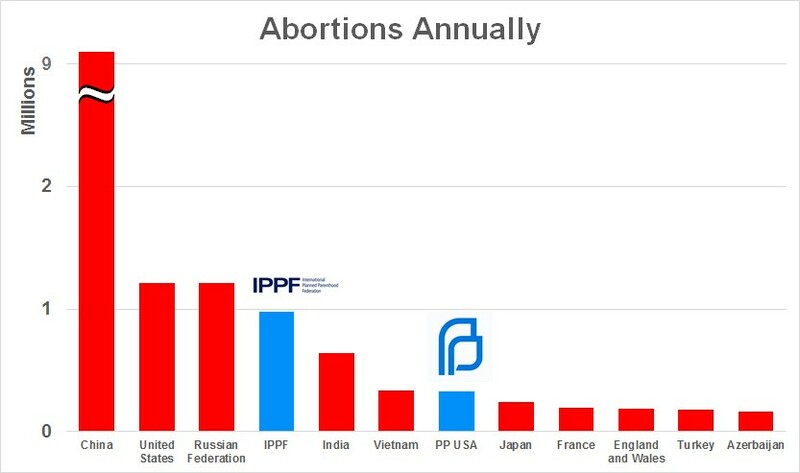 If Planned Parenthood were included for comparison, it would rank sixth in the world in number of abortions carried out annually; and the International Planned Parenthood Federation would be fourth in the number of abortions carried out per year.